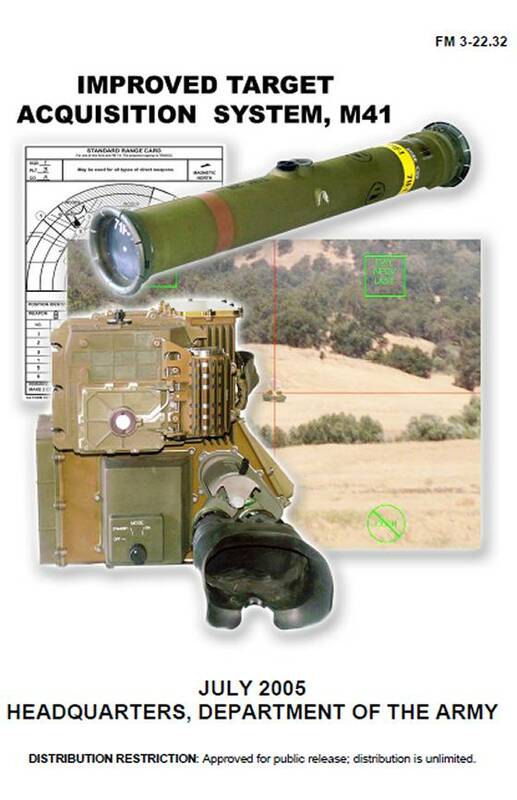 This publication provides technical information, training techniques, and guidance on the M41 Improved Target Acquisition System (ITAS). The intended users include unit leaders, trainers and designated gunners. The users will find this information invaluable in their efforts to successfully integrate this weapon system into their combat operations. This publication applies to the Active Army, the Army National Guard (ARNG)/Army National Guard of the United States (ARNGUS), and the United States Army Reserve (USAR). Improved Target Acquisition System, M41 (30,548 KB) Large file!